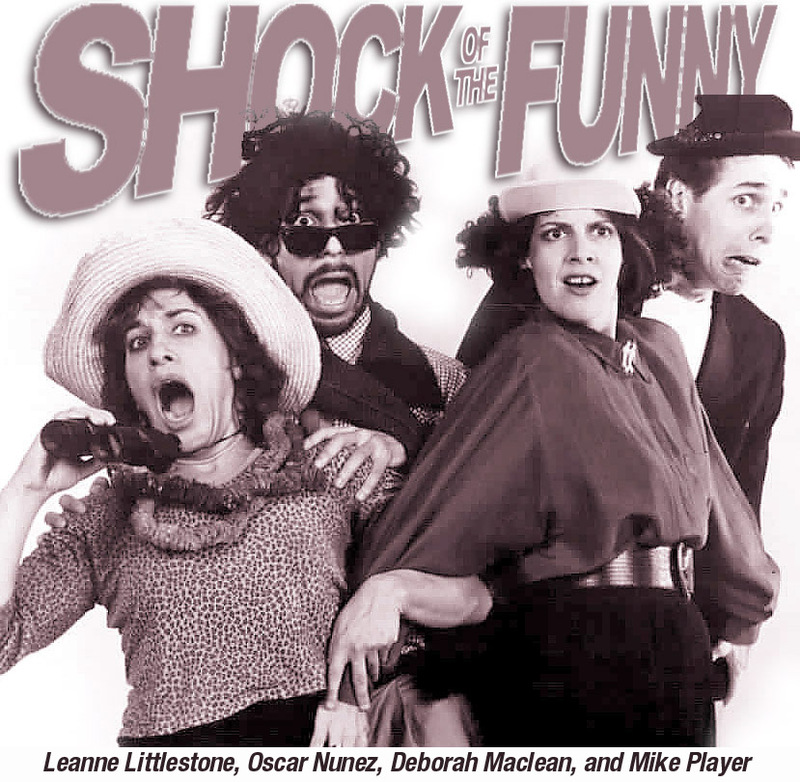 During its five years in New York City as a continuously performing comedy theater troupe, SHOCK OF THE FUNNY had critics agreeing: This company was a major comedy force to be reckoned with! 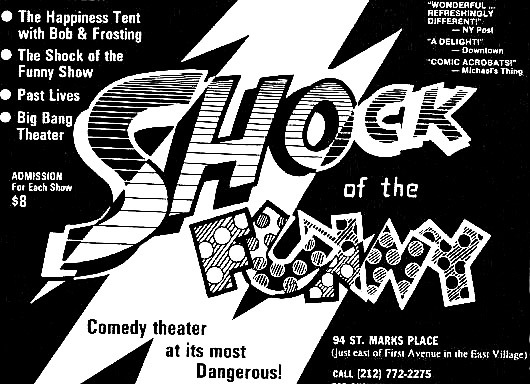 Shock started from nothing and eventually performed 4 different shows per week at their home base, the St. Mark's Studio at 94 St. Mark's Place. With founder Mike Player at the helm, 13 different shows were produced and 325 total performances given. "Energetic and wonderful. Shock specializes in tight improvs, delightful character bits, and refreshingly different setups. After ten minutes ... you'll be making plans for a return visit." "You might become a member of this fast-growing and often winning family ... very funny!" "We were instantly won over ... a delight." "Agile and humorous ... shows promise for the future!" "A comedy variety show ... cast sing, act and joke with the professional swing of an improv troupe." "HIgh tempo ... comic acrobats. Eclectic diversions in theater." "A refreshing and extraordinary troupe - sold out six performances for the Lincoln Center's Meet the Artist." "Mike Player and his crew are true professionals who can be counted on to deliver the goods night in and night out."